wargame en anglais couvrant tout le front de l'ouest de mars à novembre 1918. 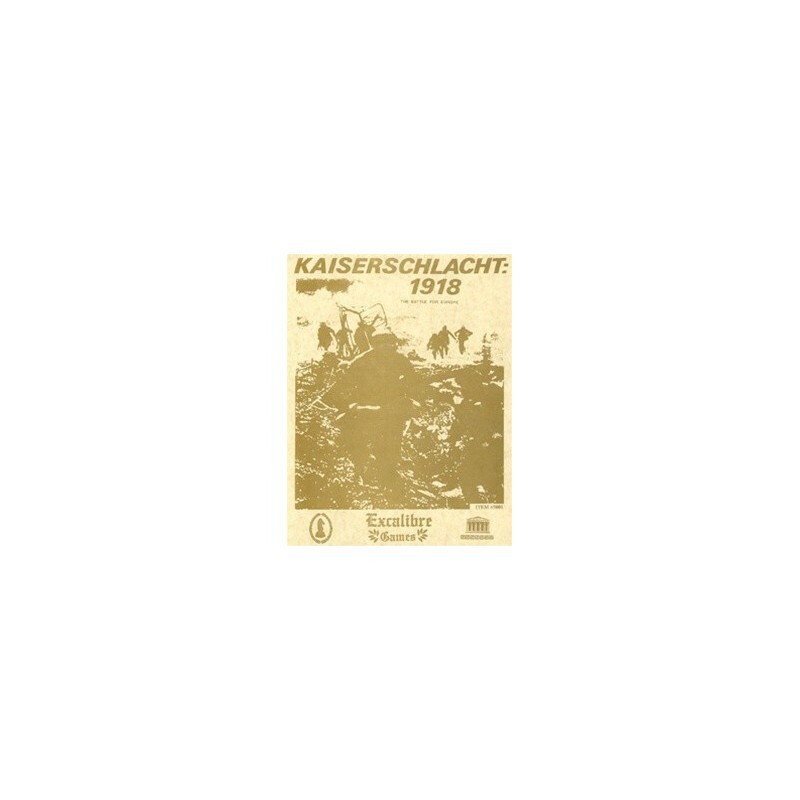 Kaiserschlacht—1918, is a low-complexity, two-player or multi-player, "mini-monster" wargame covering the decisive campaign of World War I's western front. It may be played as one long campaign game covering from March through November, or you may select from three shorter scenarios: "German Spring Offensive," "Turn of the Tide," and "Allied Offensive." Each game turn represents one day; each map hexagon scales to three miles across, and the units of maneuver are divisions and brigades. The game's systems are simple, but work to accurately and eloquently portray the operational warfare of those times. 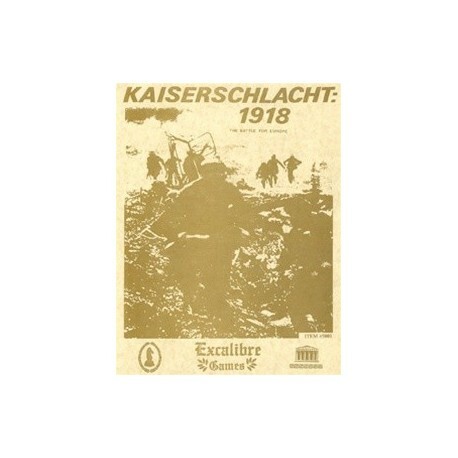 Special rules cover: tanks, shock troop infiltration tactics, artillery, air power, supply, sea movement, morale and demoralization, flooding, U-boat warfare, fortifications, trenches, inter-Allied cooperation, the critical importance of Paris, and much more. Game components include four maps, 504 die cut counters, a rules book and storage bags. This game comes in an oversized ziplock and ships in its own mailer. 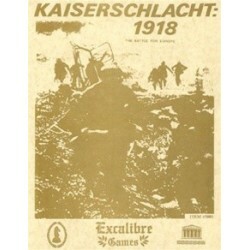 It is a reprint of the original game.